The EOS 250D is the successor to the EOS 200D – one of my favourite small cameras ever. For me it has big shoes to fill, so here’s some of my initial thoughts about the new 4K equipped smallest and lightest DSLR with movable screen. First off, it’s got a few aliases depending on where in the world you live; EOS 200D Mark II, EOS Rebel SL3 and EOS Kiss X10 are the ones I found so far. Perhaps the EOS 200D Mark II name is most appropriate, it’s taken much of the good stuff of the EOS 200D, mixed in a newer DIGIC 8 processor and 4K capabilities from the EOS M50. All this sounds great, and I do think this will be a good camera for many new and starting out photographers and bloggers who want a little of both still and movie capabilities. For stills using the optical viewfinder there’s little change, ISO range, shutter speeds, 9-point AF and flash sync speed, are the same. Live View AF covers most of the frame, and now includes Eye Detection AF for the first time in a Canon DSLR. The mode dial has less choice of modes, flash-off has been deleted as has creative auto, but the SCN and Creative Filters are still present. For video, the 4K is nice to have, but you do lose the brilliant Dual Pixel AF and it’s quite a crop of the already cropped 1.6x APS-C sensor. Think of it as a great way to shoot 1080P though and it’s a better bit of kit. At least the standard 3.5mm mic input is still there. Possibly you’ll find more use for the 4K time-lapse than shooting 4K video. Reading the specifications, and checking out some of the product shots there’s a couple of things about the camera’s appearance that have a bearing on your plans to use this in a studio or with off-camera Speedlite flash. There’s no centre pin in the hotshoe. I regularly see folks with EOS 100D and 200D cameras in studios using the studios simple radio triggers to work with studio flash. 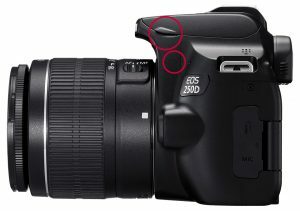 EOS 250D has the same solution as the EOS 4000D and 2000D for such situations. The flash, like the EOS M50, doesn’t automatically pop-up. Actually I like that as it stops the flash automatically popping up in full automatic mode, however it removes the raise flash button. I use that button to quickly access the transmitter settings when I’m using an ST-E3-RT on my EOS 200D. The EOS 250D comes in three colours, with white and silver in addition to black. I’m not really a fan of the silver and white, though the silver version of the EOS 250D looks a lot better than the silver EOS 200D ever did. 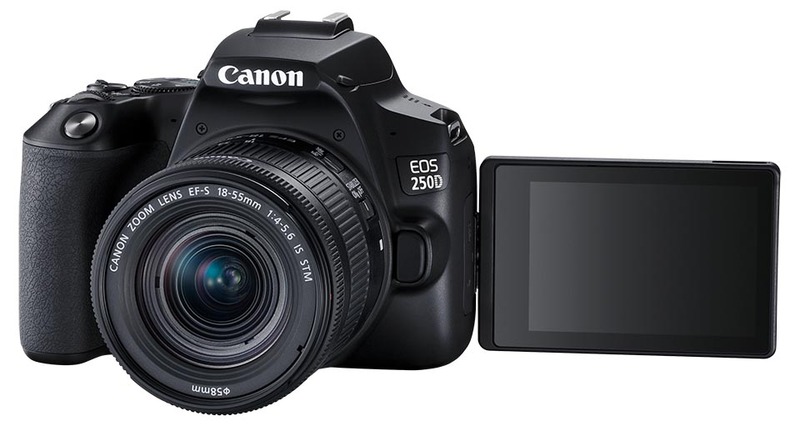 Canon Europe announces the launch of the Canon EOS 250D, the world’s lightest DSLR camera with a moveable screen *1. 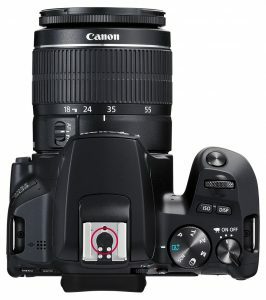 For a family looking to step-up from smartphone photography or upgrade from their existing camera, the EOS 250D is a fun and easy to use DSLR, packed with the latest technology that provides users with a formidable introduction to interchangeable lens photography in a small and lightweight body. Successor to Canon’s multi-award winning EOS 200D, the EOS 250D has a guided user interface for easy operation, a large 24.1 Megapixel Dual Pixel CMOS APS-C sensor, 4K movie capability, super-fast and responsive autofocus, and excellent connectivity to smart devices. In addition, the camera features DIGIC 8, Canon’s latest image processor which powers many of its functions, including 4K movie recording, 4K time-lapse and 4K frame grabs from 4K movies. The EOS 250D is a camera for every occasion. Its intuitive Vari-Angle touchscreen enables comfortable shooting from a variety of angles, making family selfies a joy or recording a vlog effortless. Canon’s Dual Pixel CMOS AF technology will also keep family and friends in sharp focus when shooting stills and video via the touchscreen. Delivering a classic shooting experience, the EOS 250D features an optical viewfinder with a responsive 9-point AF, so moments can be framed clearly and as they were seen with the naked eye. When images and videos are ready to be shared, the EOS 250D integrates effortlessly with smart devices *2 via Bluetooth® *3 and Wi-Fi using the free Canon Camera Connect app for iOS and Android. From here, images and videos can be downloaded to a smart device, reviewed and posted on social media or shared with friends and family. The Canon Camera Connect app also facilitates shooting remotely from a smart device, perfect for capturing family group shots or a hands-free selfie. Images can then be sent to a paired smart device as soon as they are taken via the Automatic Image Transfer function, delivering peace of mind that cherished memories are safely backed-up. The EOS 250D is available in three sleek finishes: black, white and silver and is part of the Canon EOS ecosystem, comprising of over 80 world-class lenses, flashes and accessories, offering an optimum level of choice as users look to expand the camera’s capabilities. The EOS 250D’s guided and creative features, combined with Canon’s cutting edge technology, will set families up for storytelling greatness and equip them with the tools and knowledge to make beautiful memories in a click. The EOS 250D is now available to pre-order from Canon’s online store or to purchase with a range of lens and body options from official Canon retailers from 25th April 2019. 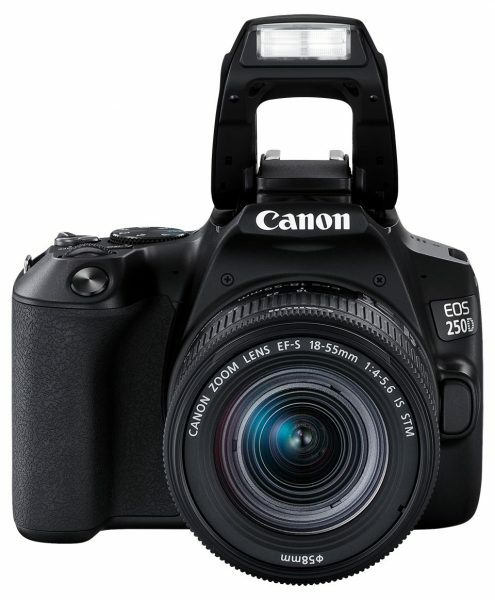 *1 Canon EOS 250D (Black/Silver) is the world’s lightest DSLR among all the digital single-lens reflex APS-C size sensor cameras with a moveable screen. Including battery and memory card as per CIPA guidelines. As of April 9th, 2019 (researched by Canon). *2 Requires smart device to be equipped with Bluetooth version 4.0 (or later). Also requires smart device to be using operating system iOS 8.4 (or later) or Android 5.0 (or later). *3 The Bluetooth® word mark and logos are registered trademarks owned by the Bluetooth SIG, Inc. and any use of such marks by Canon Inc. is under license. Other trademarks and trade names are those of their respective owners.